You’re a total gadget guy. You love to wait in lines for hours just to get the newest phone version; you read tech blogs like they are Russian novels; you have screen after screen full of apps that help you manage your busy life. Well, we hope you have a moon tracker stored somewhere on your home screen, homeboy, because a bonafide werewolf-in-training such as yourself will most definitely need to keep track of the waxing and waning of la luna. 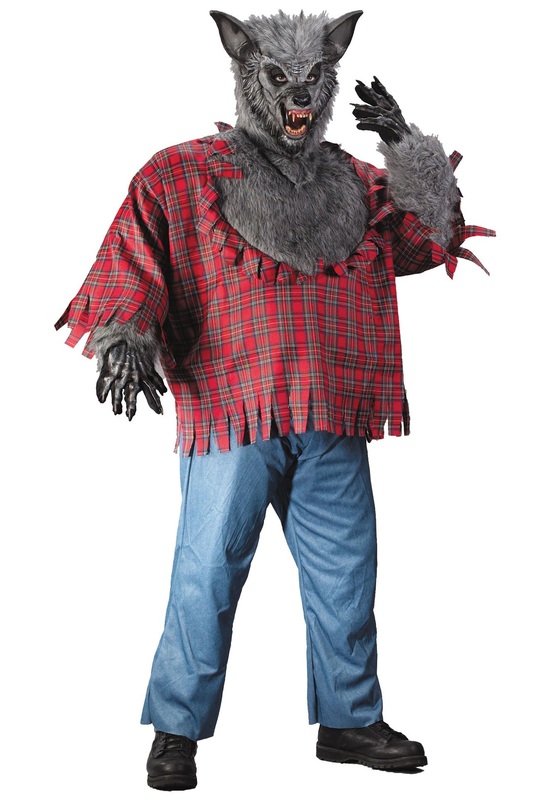 Of course, when the moon reaches full you’ll need to know so you can begin to transformation, using your killer instincts, your favorite app, and this Gray Plus Size Werewolf Costume. Werewolves, of course, don’t really need gadgets; they are moved by forces far more ancient and spooky. But seeing as you aren’t quite ready to view your monthly transformation as a little “technology detox” just yet, you can easily pair the torn, red flannel shirt (with attached fur chest patch) of this costume with your favorite jeans and stow your phone safely in your back pocket. Phew! But we draw the line there; absolutely no tablets! And once you put on the plush mask with fur, we better not see you on your gadgets all night. Besides, we’re pretty sure the werewolf gloves with fur arms aren’t touch-screen compatible, even if your seasoned howl is good enough to go viral.